Home / Student Questions / Are essay writing services ethical? In reality, this question is misleading on its face. When people say something is “ethical,” they generally mean that it morally correct or good. It is unlikely that most people, even educators, would argue that resources such as Cliff’s Notes or EBSCO are unethical even though some students may abuse them. Likewise, legitimate essay writing services deliver an honest and valuable service by providing students with model essays, term papers, research papers, theses and dissertations that they can use as useful guides in developing their own final masterpieces. Moreover, legitimate essay writing services will consistently emphasize that this is the purpose of the work product they provide and the concomitant need to cite the source. Like Cliff’s Notes, though, some people may misuse this work product in ways that are unethical by claiming the material as their own without proper attribution. Usage in this fashion is not only unethical, it is likely illegal in most jurisdictions and is grounds for disciplinary measures everywhere including expulsion. "Are essay writing services ethical?." Aceyourpaper.com. Student Network Resources Inc, 20 January. 2017. Web. 18 April 2019. Student Network Resources Inc. "Are essay writing services ethical?." Aceyourpaper.com. 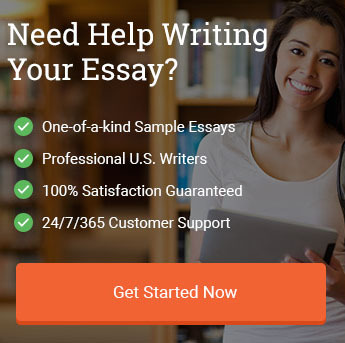 https://www.aceyourpaper.com/student-questions/are-essay-writing-services-ethical/ (accessed April 18, 2019).